Along with Heavy Sweetness Ash-like Frost, Martial Universe was another highly-anticipated novel turned drama that had a strong existing fanbase. Furthermore, it had the star power of actor Yang Yang and a cast that includes Crystal Zhang, Wu Chun and Wang Likun. Despite this, the show has not achieved the same level of success as Heavy Sweetness which also falls into the fantasy genre. It has premiered to surprisingly tepid reception last night to bring in CSM52 ratings of 0.333% and CSM Nationwide ratings of 0.192% at the later 10pm slot on Dragon TV. While there's no exact science to explaining the numbers (is the show simply bad? I have yet to watch), it's worth nothing that episodes are released for VIP users on Youku an hour before it even airs on tv which may have contributed to the lower tv ratings. Quite expectedly, the show is doing much better online to reach 100 million views 12 hours after it was released. Isn't the situation similar with Fuyao? And people are saying Fuyao flopped even it has been doing better even going against World Cup in the beginning? Its ratings are much lower than Fuyao. Fuyao got 0.6 for its first broadcast which was up against World Cup. Martial Universe's first broadcast ratings is only 0.3. Fuyao later went up to 0.9 and even reached 1+ several times. Only time will tell if Martial Universe can go up.... Maybe it will when Fuyao ends next week. Fu Yao is number 1 rank or highest rank on its time slot 10 pm. Having a over 12 billion views online is a flopped for you? having 12 billion view online is already very high compared to those dramas that is only 1 billion. 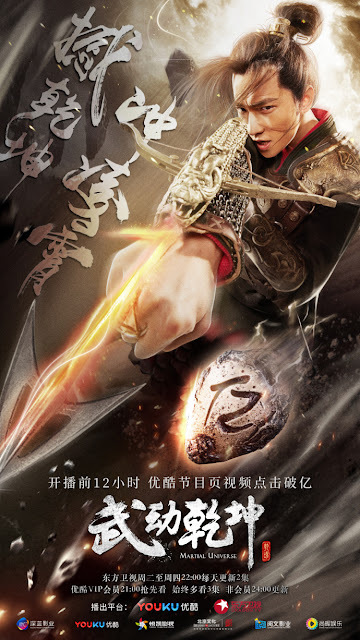 If you see the tv rank of The Legend of Fu Yao on wikipedia either 1 or 2 is the rank. Sweet Dreams is hit over 5 billion view is already called success. Martial Universe will flopped because this month of August there are 2 more historical drama that will be airs like the drama The Rise of Phoenixes and may be also Wallace Huo drama Ruyi's Royal Love in the Palace. Legend of Fu Yao already end today. Legend of Fu Yao drama is successful its not flopped. Fuyao is not a flop but it hasnt been the huge hit people were anticipating. It is doing much better than other dramas during the late time slot however it hasn't reached the level of success previous hit dramas during that time slot. ¬¬¬¬Yangmi’s previous historical drama 3L3W sets the bar too high. 3L3W is a hit on all platforms with both online views and TV ratings. Not only that Yang Mi and Mark celebrity ranking, SNS buzz and hype, tending keywords after every episode such as Mark plastic surgery acting, Mark’s beautiful hand, etc. Mark really hard carried the drama, I became a fan since then. He got highly praised for his acting after a lot of people doubted him as Ye Hua. I also think Fu Yao does well but it pales in comparison to 3L3W. Fuyao doesn’t get addictive like 3L3W does to me. To each their own, Fu Yao has too many side characters for me and it kinda makes me lose focus. Zhejiang TV has literally never done well in that time slot. Same for Dragon TV. Fuyao's plot is all over the place and its pacing is inconsistent. Some episodes are really exciting, whereas the rest is boring and flat. Even as a YM fan, it was a struggle to finish the show. Not surprised it isn't anywhere near Eteral Love's popularity. To last anon, flop doesn't mean bad. As far as I know it gave Tencent the most views and is the highest views for TV drama with 1 streaming site. It also gave Zhejiang TV their highest rating for night time slot. Honestly I Love Fu Yao and Heavy Sweetness Ash Like Frost than Martial Universe.Legend Of Fu Yao hit 380 million views within 14 hours of its release. Heavy Sweetness hit 100 million in just 15 minutes while Martial Universe is 100 million in 12 hours. Martial Universe maybe will flopped there is 2 more new upcoming drama to be airs this august that I'm looking forward to watch. I would rather watch Bloody Romance over Martial Universe even though I like all the cast of Martial Universe. Yang Yang did a great job on his drama Love O20. what are you talking about lmao, his acting in LOVE O2O is widely criticized by chinese audience. His acting in MU has improved a bit though. Was there hype for the drama? The biggest hype for the summer was Heavy Sweetness Ash Like Frost. Probably got overshadowed. I don't understand why dramafever is subbing it. I watched the first two episodes and I find some of the actors' performance to be abit exaggerated. Is it supposed to be humor? I can't get over the annoying shouting/acting of Lin Qing Tan. I don't know anything about the novel. Is she supposed to act like a caveman/woman? - Is the music director on crack or perhaps trying to be very different. Strange sound effects and music background. For example, sudden jazzy music as characters walk down an aisle. This is a wuxia show! Jarring. 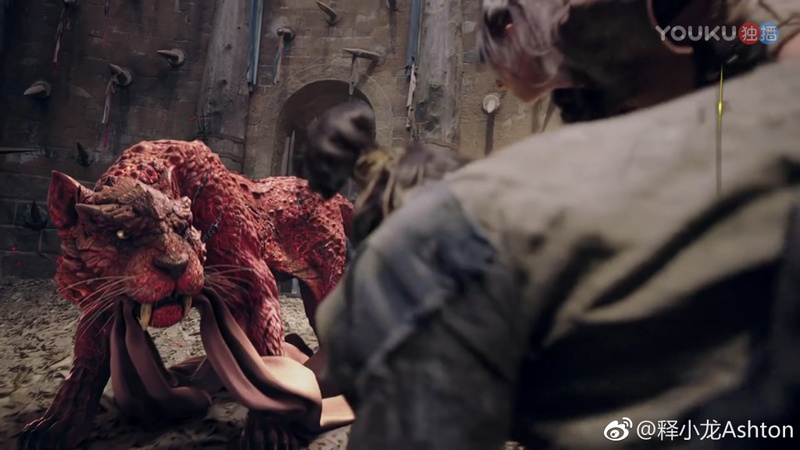 - And director also made a strange decision to spend the first half of ep 1 on a single fight scene. Too extended and self-indulgent. Maybe the hype Yang Yang died a bit? He hasn't had a drama since 2016 and lots of handsome young actors have come along in that time and taken the spotlight.